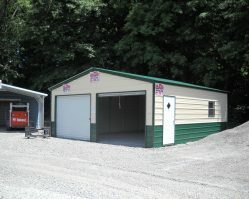 Standard Steel Carports of all sizes and anchoring options. 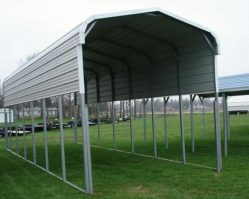 The 12x36x10 steel RV carport model shown here is for example purposes. 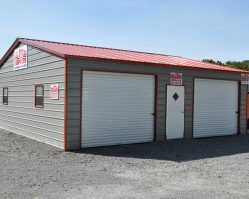 We can build just about any size you’d like.